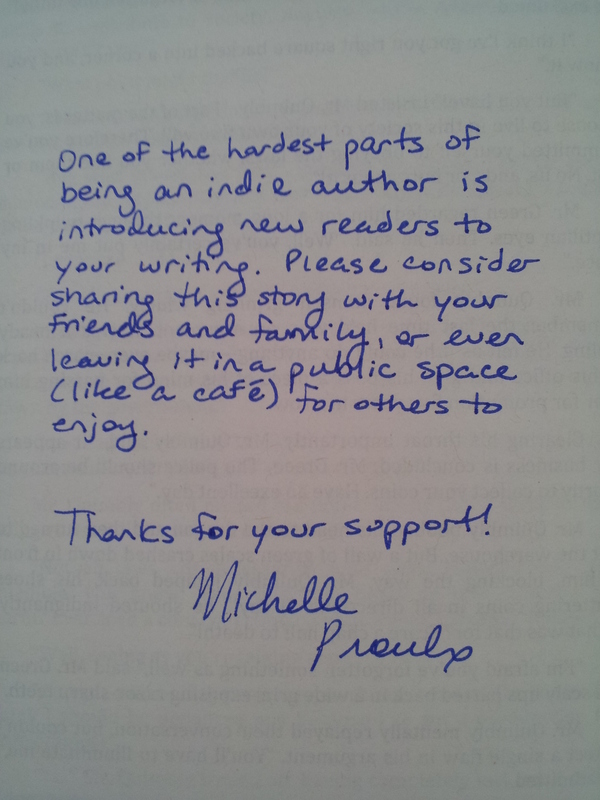 New Book Marketing Idea — Short Story Booklets! 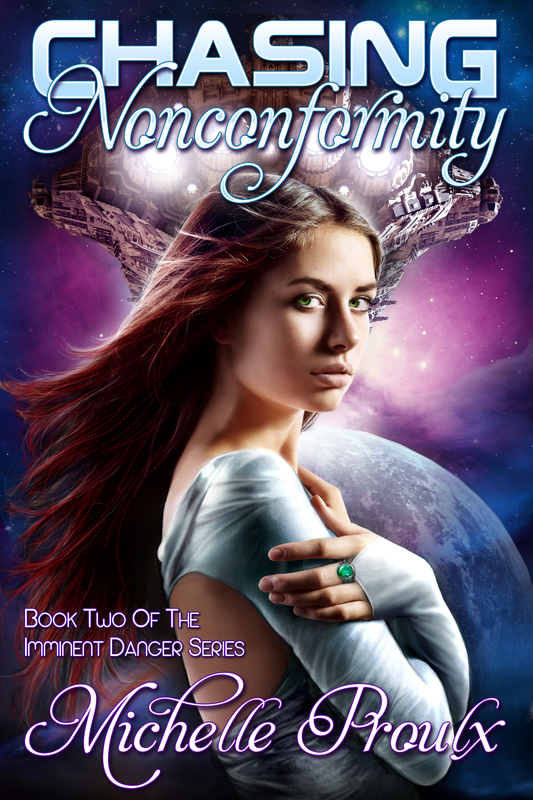 This Saturday I’ll be at the Gathering on the Green 2014 arts festival with my little tent and table, ready to sell some copies of Imminent Danger And How to Fly Straight into It! 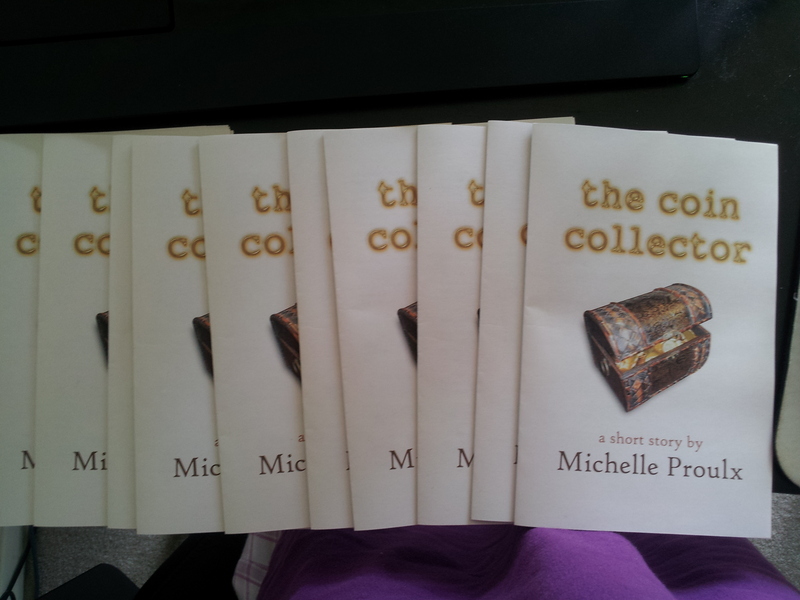 In terms of marketing, my new strategy this year is to give away printed copies of my short story, The Coin Collector. I figure I can give these out to people who express interest in the book but aren’t sure they want to commit to buying, or even as a grand prize to people who spin the golden stars on my Wheel of Imminent Danger. I’ll also ask them to pass the story on to friends or family once they’re finished reading, in the hopes that some of these booklets might end up circling around the city and reaching multiple people. I doubt it will actually happen, but I remain hopeful! I’ll let you guys know how this whole booklet thing goes, and if they actually entice anyone to buy the book. 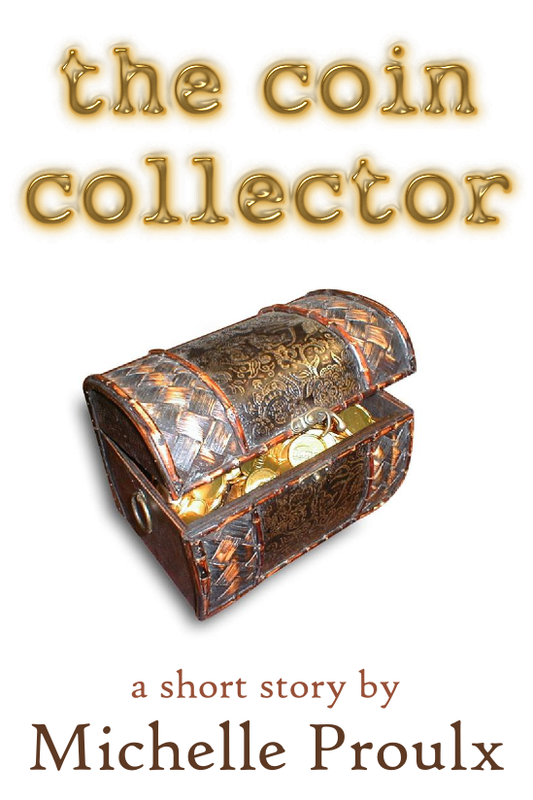 If you feel like reading The Coin Collector yourself, just click the cover on the right-hand column of this blog and it’ll take you to Smashwords, where you can download a free copy. Wish me luck at the festival tomorrow! Great idea! Hope it works out. And good luck at the festival! Thanks 😀 I think it’s really hit or miss, but I’m hoping for a hit!!! What an awesome idea! Who can turn down such a delightful item. Now all you need is a chalkboard to spell out (in Chinese, of course) promises of romantic success for those who purchase “the coin collector” and you’ll be sold out in no time. Excellent strategy! Step 1) Buy a chalkboard. Step 2) Learn Chinese. 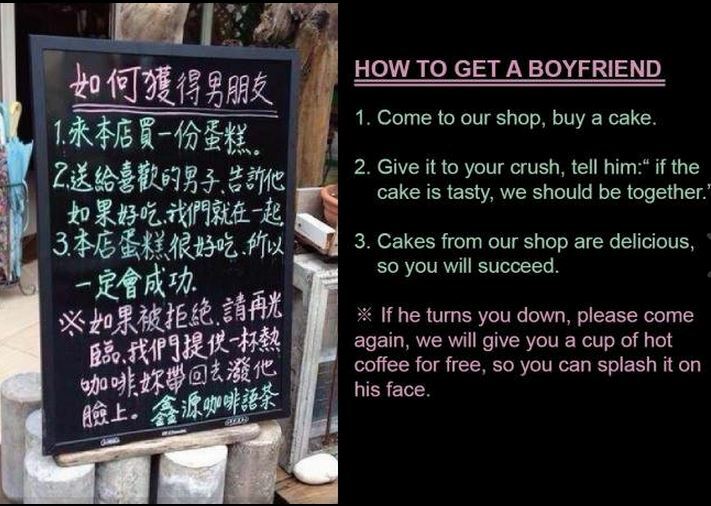 Step 3) Move to a part of Canada where people can actually read Chinese. Step 4) SUCCESS!!!! Thanks! I’ll report back with results. Have fun and good luck. Nice idea with the booklet. Thanks! I’m hoping people will actually share them around, and not just hoard them, or throw them in the recycling, but you never know. Traditional publishers spend thousands on samplers for BEA and media—this is a similar idea, and I hope it pays off for you, too, Michelle. Keep us posted! Thanks, and I will 🙂 When I try to decide on marketing ideas, I usually think “What’s something that I’d like to see/get, that would convince me to buy a book?” And I like reading, and free stuff, so I figured this was worth a shot! This is a brilliant idea. I’ll have to remember it if I ever get around to promotional events. Thanks 😀 Wait to find out from me if it actually works, though, before adopting it yourself! Aw, thanks 🙂 I’d like to claim I planned to make the inscriptions handwritten, but it’s more like I didn’t think to add in that “please share” text until after they were printed and assembled, lol. Good luck at the festival! I hope your marketing idea exceeds your expectations! Cool idea! At the very least, you are getting your name out there. Thanks 😀 I actually ended up mostly giving them to the people who bought the book, but I figure they’ll see the inscription on the back and hopefully share it. Great idea. Have you heard of Noise Trade? Just curious. Good luck with everything. Hope it works for you. I think some big name authors are on there. 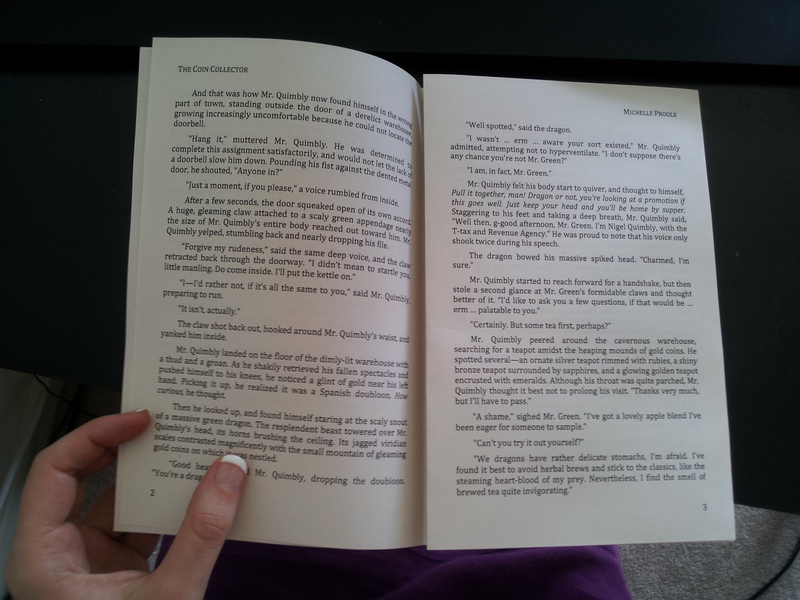 Dean Koontz has a sample chapter from his latest novel. Great idea, and, since I’ve read the short story, I think people are in for a wonderful surprise. Huzzah!!!!! I eagerly await your review 🙂 If you’d like to post it in your blog, I would of course be ecstatic, but the choice is up to you.